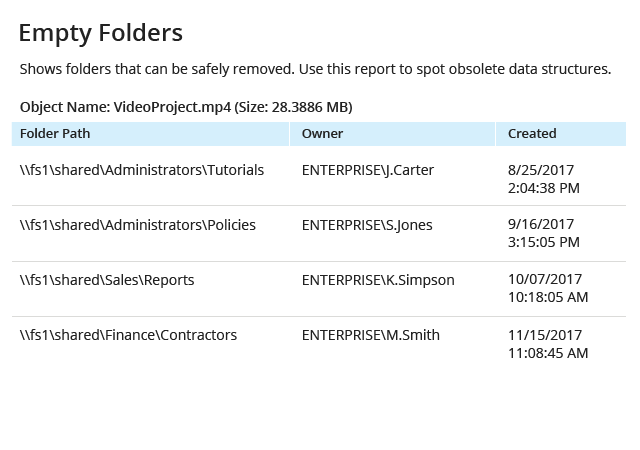 File analysis in Netwrix Auditor software helps organizations improve their information governance and policy management practices by providing insight into their unstructured data. For example, detailed information about duplicate files and stale data helps them keep their data stores orderly and efficient, and identification of both owners and primary users of data enables better information management decisions. 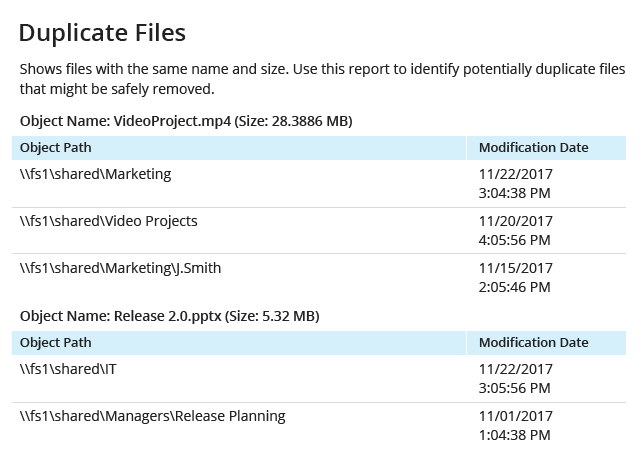 Quickly detect copies of files and delete or archive them to free up valuable storage space and eliminate confusion about which copy is authoritative and should be used for decision-making or business analysis. A significant portion of the data that organizations store is often dark data that is not actually being used. Archiving stale data can reduce storage costs and mitigate security risks, including data exfiltration and ransomware attacks. 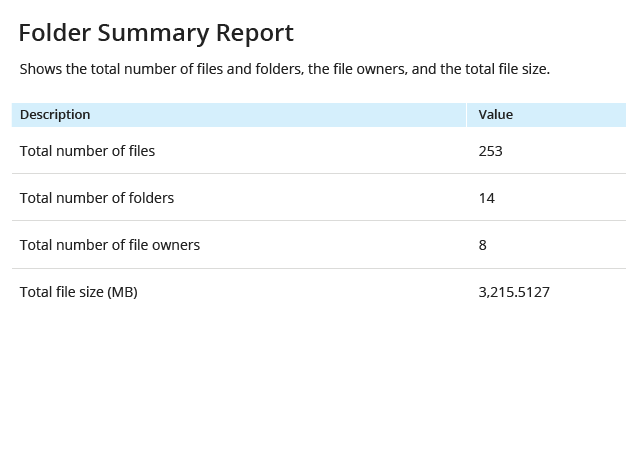 Get an overview of your file share, including the number of files, folders and data owners, as well as the total file size. Use this information to keep an eye on the use of storage quotas and spot sudden spikes in the number of files on the share. 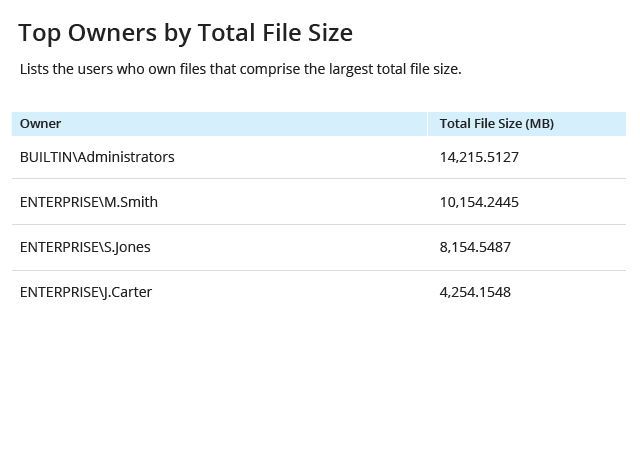 Identify the largest files on your network storage devices and determine how to best approach them with details about who the file owners are; where the files are located; and when they were created, last modified and last accessed. 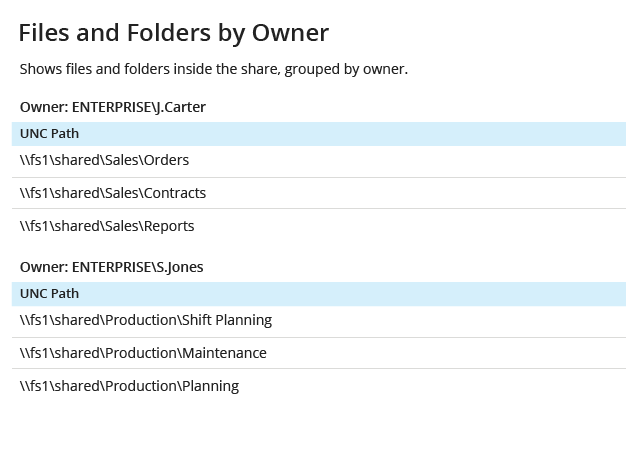 Identify and remove empty folders to ensure your file shares are efficient and easy to use. 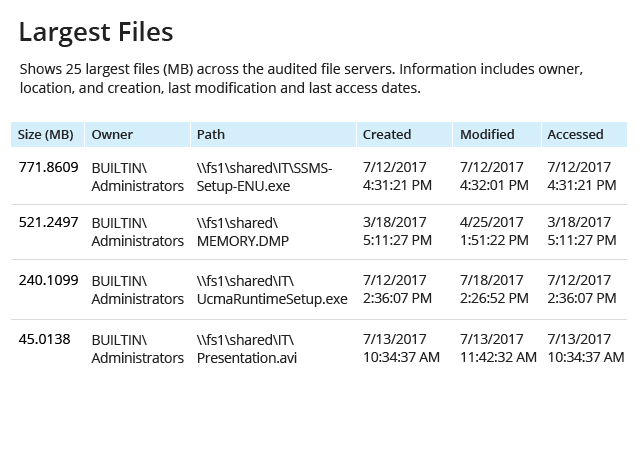 Netwrix Auditor shows where each empty folder is located, who owns it and when it was created. 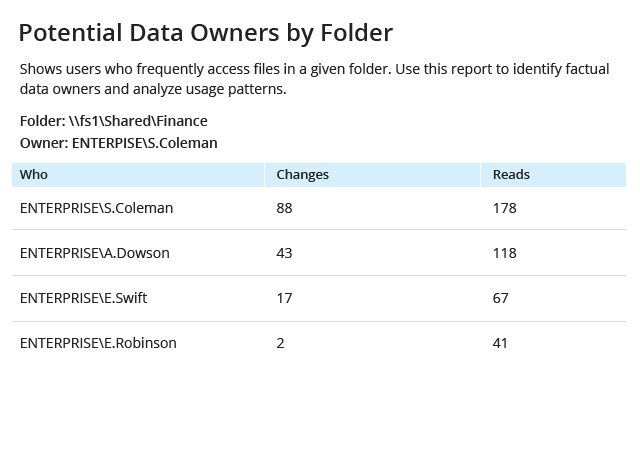 Easily identify who owns what data within a file share so you can involve them in decision-making and ensure they follow proper records management practices. Review data usage patterns to identify both data owners and users who depend on the data to do their jobs, so you can make better data management decisions that do not disrupt business productivity. Quickly spot data owners who use the most storage capacity and work with them on optimizing their storage use. File analysis enables storage managers, legal and security professionals, and business analysis to understand and manage unstructured data stores to reduce costs and risk, increase efficiency of business-critical data, and make better information management decisions for unstructured data. and file activity under control? Explore how you can achieve strong data access governance across your environment with Netwrix Auditor. 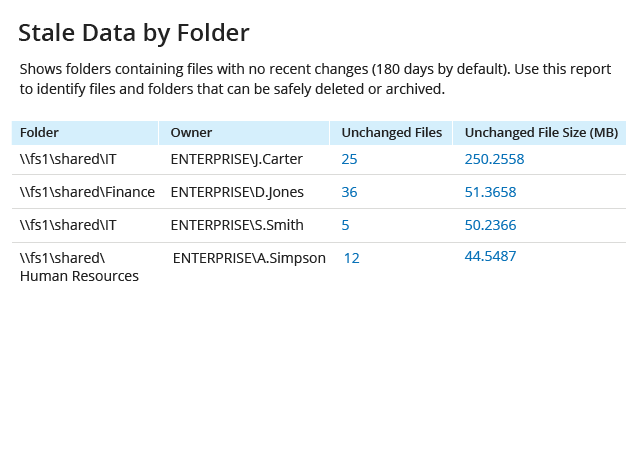 Stay on top of data and permissions changes, data access events, and file activity on your file servers.